Started working on the tail. I was hesitant to cut the spar channel on my compound miter saw because I was unsure if it would vibrate too much or get caught and bent. I held it firmly and cut really slow and it cut perfectly. I even made the 5 degree cuts on the flanges with the bevel feature of the saw. Cutting the circle was another matter entirely. First I used my unibit, but this vibrated like crazy and didn’t seem precise at all. 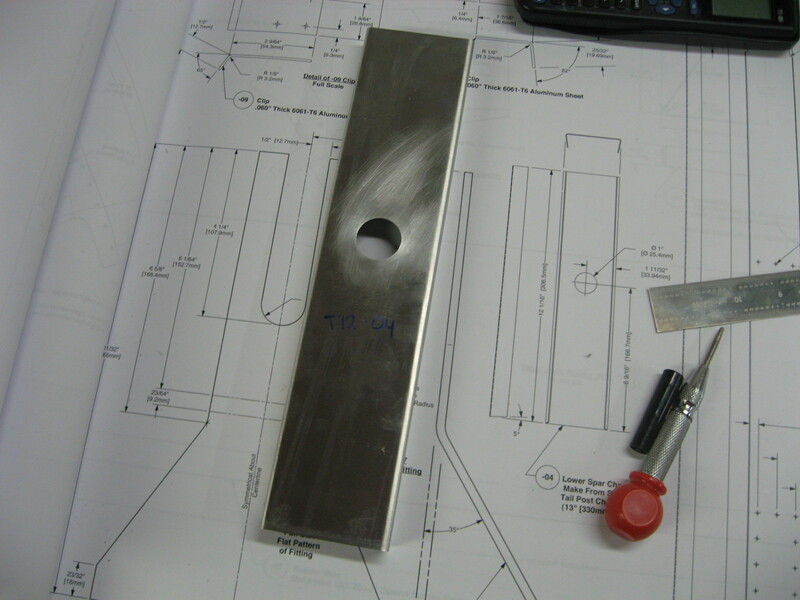 Plus it seemed to be melting the aluminum more than cutting and the force I was applying to cut was deforming the metal. 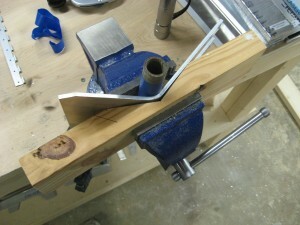 Not having a hole saw or a fly cutter I decided to use a forstner bit as a last-ditch attempt. I added cutting fluid and the forstner bit went through like butter. Spade bits probably would have worked just as well except mine don’t have a nice tooth on the outside to cut the circle out. 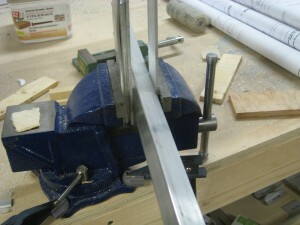 I have been dreading bending the forward spar fitting for a while. I decided to try using my bench vise and a piece of thick-walled pipe I found in the basement with the correct diameter. I cut a “V” into a block of wood with my bandsaw. Once I lined everything up, the bending was way easier than expected.